Last Saturday we had a housewarming party, we are now officially in the new place, all the contractors came to see the final results, after all a piece of them is embedded all around. I'm sure they are as proud as we are with the look and functionality of the house. Some brought their spouse and it was a good practice for me to show them what I do and of course show them my workplace. 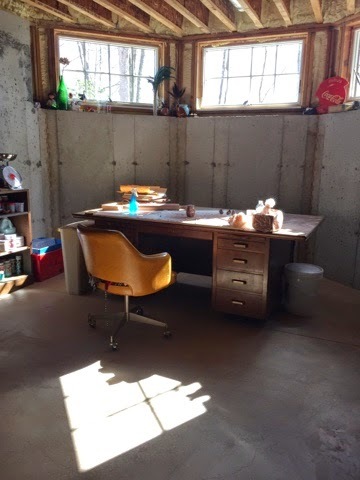 I think my studio is still to raw and not as inviting as I would like, hubby told me it will be unfinished for a while, I better then find a way to make it more "presentable" since I'll be having an open studio coming soon, and you are invited of course! Ideas, ideas, ideas, hmmmm maybe Pinterest will guide me, do you have any suggestions?